I wanted to create this small blog, to send out a message of my intention. My brand has evolved in a diverse way and been pulled in different directions over the last few years. My intention was never to solely create a bikini brand. My intention is to create a community where a tribe of women are inspired by something completely unique. Something mystical and beautiful like we all are. I believe life pulls us in different directions and more often that not we get attached to a belief of what we are ‘supposed to be doing’ or what we ‘should do’ but actually when I asked myself. What is my main intention? What will bring me joy? The answer is; I want to inspire every one to know we are strong, we are all good enough and we are all equal. We all have a constant connection to the universe which is running through us each and every moment of our lives. It is always taking care of us.. I want to create a voice where you all know, we are strong, independent, loveable, unique women. We are capable of doing anything. 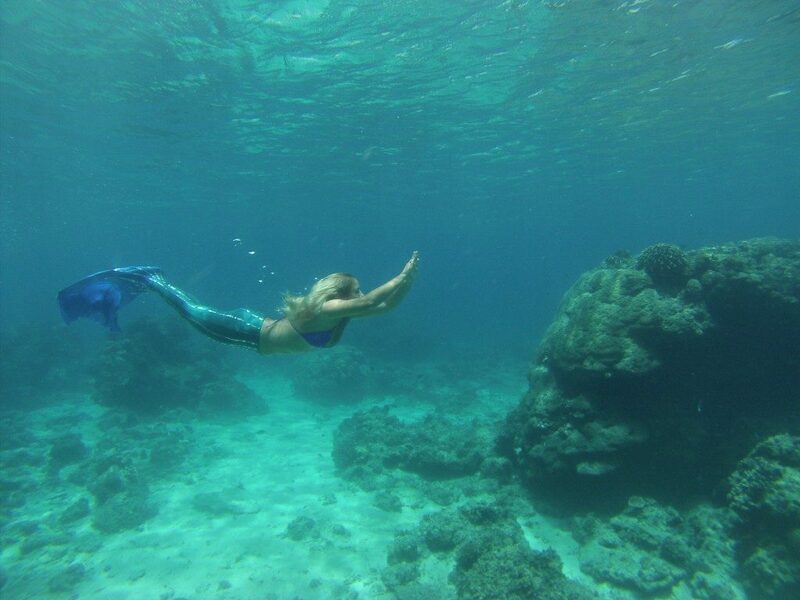 No one would have believed me when I said I was moving to Bali at 18 years old, to then move onto creating a mermaid company on the other side of the world. To create designs of mermaid tails, swim wear and jackets. All created by myself. To create a whole program of ocean activities where we we can experience something completely unique and fun. Be in complete joy. We are all capable of making our dreams a reality. My dream is to inspire you to believe in doing so and trust in the Universe.